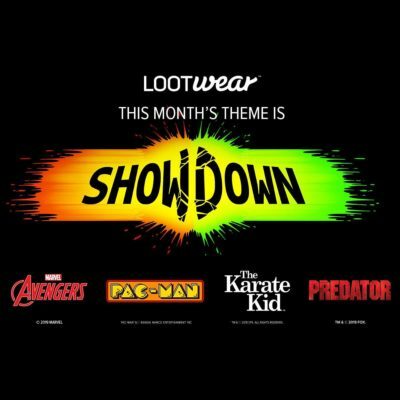 This month’s LootWear will feature Marvel’s Avengers, Pac-Man, The Karate Kid and Predator! Wear Your Fandom! Get exclusive apparel with designs inspired by your favorite movies, tv shows, video games, comics and more delivered right to your door every month!